U.S. National Park Service. 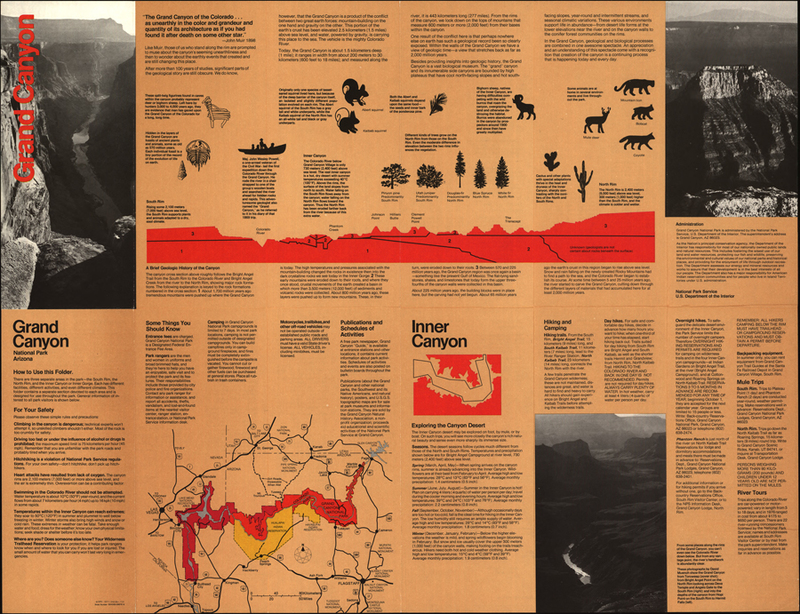 “Grand Canyon.” 1977. Notes: Scale ca. 1:95,000. Relief shown by spot heights. List the different data you find on this map (view larger image). Conduct research to compare the data from this map from 1977 with current information and statistics. What similarities and differences did you find? Investigate reasons for the change(s) in data; describe your findings.